Vocalpoint - Free Samples and Coupons Exclusive - Complete registration and receive exclusive Proctor and Gamble coupons, samples, newsletters and discounts. Puppy Chow Healthy Start Coupon Exclusive- Sign up and receive a $2 coupon good for any Purina® Puppy Chow® brand Puppy Food formula. Pampers - Gifts to Grow Rewards Program Exclusive - Join Pampers Gifts to Grow Rewards program and receive 100 free points toward your purchase of Pampers goods. TRESemme Look fabulous without spending a fortune! Sign up for the TRESemmé e-newsletter to get styling tips, product updates, offers and more. Very exciting, new - Quiznos - Free Printable Coupon Print your $2.99 coupon for any small sub at Quiznos, including the Chicken Bacon Dipper. Limited time offer. Get yours now! Plus if you join the Q-Club you will get exclusive deals delivered to your inbox, plus a FREE COOKIE just for signing up! 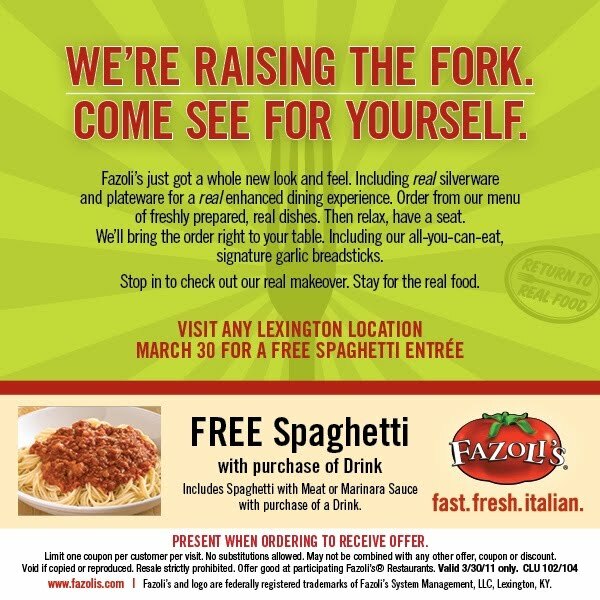 Print the image above for FREE spaghtti w/ a drink purchase 3-3-11 only. Never clip a coupon again. With Cellfire you can save online grocery coupons directly to your supermarket savings card. No clipping, no printing, no forgetting! Save hundreds of dollars on your groceries with Cellfire’s free paperless coupons and if you also have a paper coupon most stores will let you us both. Well SMASHing friends it has been a while between post. My sick kiddo has kept me away from the blog. Day after day of pain, medical phone calls and homeschooling has pushed the blog to the back burner. Even when I am away from my blog I still live by my SMASHing ways. I want you to SMASH Save Money And Stay Home with your kids. The photo above show some of the great things I got on my $45 plus worth of FREE stuff day. Getting a good deal and goodies for FREE makes me so happy. Here is a good photo deal. Vistaprint St. Patrick's Day Tote Bag - Get a Vistaprint Deluxe Tote Bag for $4.99. Go Green for St. Patrick’s Day: 1 Deluxe Tote for $4.99! For a limited time only, get a deluxe tote for only $4.99. Celebrate your luck year round by adding photos of those who make you feel lucky to a tote. With 500 designs to choose from, you will have no problem creating the ideal tote to carry all of your belongings. Deep pockets make it easy to stay organized while toting everything you need! Join BzzAgent - a free word-of-mouth community. There's no obligation or cost involved if you decide to join. "Hello. Have I told you about BzzAgent yet? I'm a member, and I thought you might like to be one too (joining is free). I get to try products and services at no cost with samples, coupons and stuff like that. Then I make my voice heard by sharing my honest opinions with others, including some of the largest companies in the world. Want to learn more and sign up to join in the fun?" If you'd like to receive the same benefits, become an Agent today. Don't worry, BzzAgent respects its members' privacy and won't share your personal information or spam you. We're a community focused on word of mouth, so what better way to recruit new members than referrals and recommendations from friends? Sarah wants you to try redbox! Redbox is the best - you can rent DVDs for $1 a night with no membership fees! You should try it out. If you click on my link and it's your first time renting online, they'll give you a free one-night online rental credit. 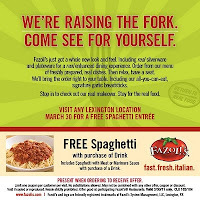 And I'll get a free rental each time you rent via my link through 3/17/11. Not sure what redbox is? Redbox is that bright red movie rental kiosk you can find in and around places like supermarkets and convenience stores. Redbox is super easy to use: just pick a movie, swipe your credit card and walk away with your disc. You can also reserve your movie online so it will be waiting for you when you get there. Redbox DVDs, even the brand-new ones, cost just $1 a night to rent. Blu-ray Discs cost just $1.50 a night. Want to learn more? Click on your friend's link up there! If you reserve a movie online right after you click on the link, your friend will earn a rental credit good for a one-night rental. You received this message because your friend thought you would be interested in this promotion. If you do not wish to receive additional email invitations about this promotion please click here. Why should you SMASH? To Save Money And Stay Home with your kids. I hope I can help you SMASH. Here is a link to a camp for children with serious illness. 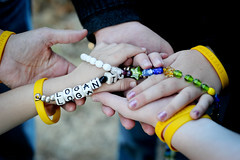 There are weeks that the sick children go with their siblings and weekends that they go with their entire families. It is completely FREE!! Mark your calendar March 10-12,2-5pm. Get one of our new Petites for free when you buy any drink. Invite your friends!